We thank all people who supported our website. Some buyers bought again and again after tested our website and was sure our website was trusted. However, we do not allow frequent orders happened in our company. There are some reasons of that issue as below. As we know that 90% customers choose to pay by PayPal or credit card through Web when you buy RS Gold from us. And PayPal system has a automatic examine on every transaction after you pay. They will verify if the payment was authorized or not, they will verify if the card was stolen or not. So if you are new comer of our website, and pay lots times in short time, they will see it as abnormal thing and then freeze your payment. Then PayPal investigation happens. This issue is harmful to our PayPal account and buyer respect. So we do not buyer to do frequent orders. Some players sometimes like to ask us if they can be tracked by official. Exactly, they would not track any buyers, Runescape Gold trade is free, their free trade has been opened for long time. So first buying Runescape Gold from our website is safe 100%, but if official find you trade too often with big amount Gold in short time, they will ban your account or suspend your character, you will lose your account to play forever. That is why we suggest you not to buy too often. But if you are old customer of us, that means you bought from us for many times even ages. Then you can try to buy a little often, that is fine. Because your IP address and your paypal account has been verified by PayPal test system automatic. And your game account system do that also. You’d better not try to buy RS Gold with big amount difference. Like first time you bought 10M RS07 Gold, then second time you chose to buy 200M, that is big amount difference, which is easy to be tracked and seen as abnormal thing. 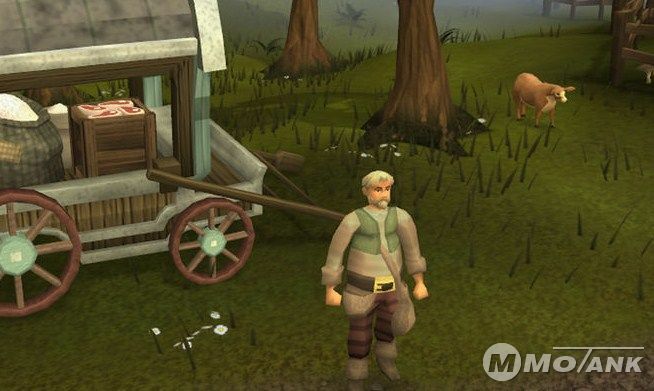 You are welcome to buy Runescape Gold from MMOTANK at any time, but please read some conditions and terms of us for your safety of game account and payment account. Enjoy your purchase on our website and play in game.